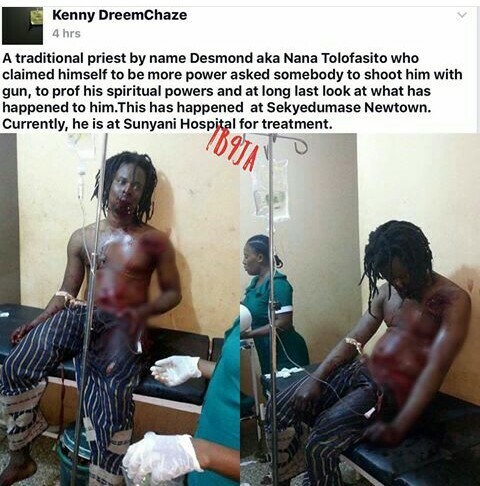 A Ghanaian man who happens to be a native doctor found himself inside the hospital after he tested and trusted in his spiritual powers. He thought his powers would stop bullets from piercing through his skin but now he has landed himself in the hospital. His whole body has been riddled with bullets. Maybe next time he should come and learn from Nigerian "Babalawos"